Save the date for the 2019 Rocky Mountain Annual Conference & PT Expo. 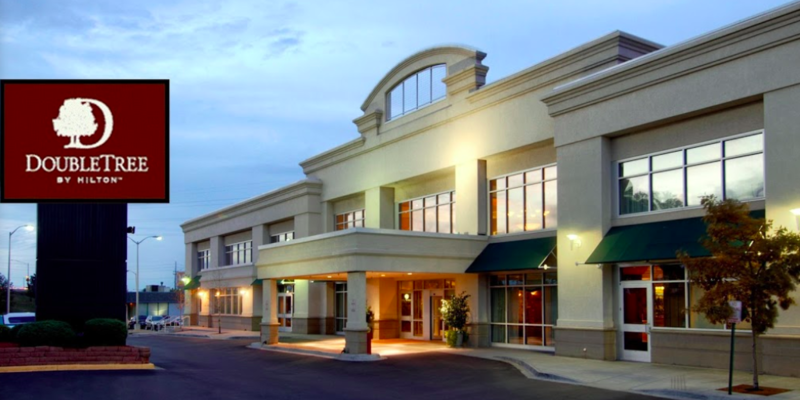 The conference will be held October 11 - 12, 2019 at the DoubleTree by Hilton Denver - Stapleton North, 4040 Quebec St, Denver, CO 80216. More information coming soon! 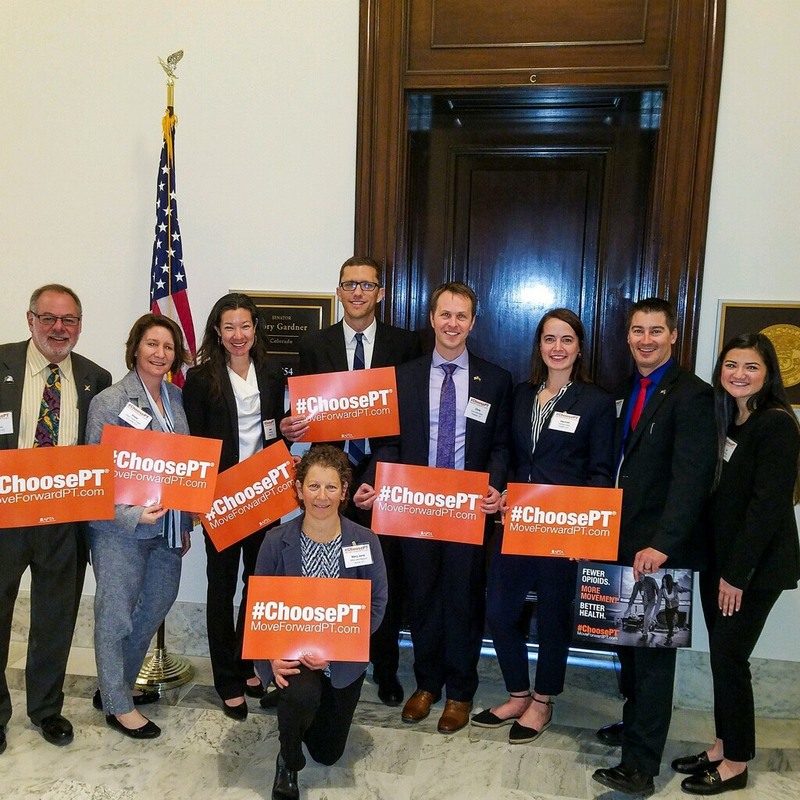 An energized group of physical therapists and student physical therapists represented the APTA Colorado chapter at the annual Federal Advocacy Forum, March 31 - April 2. On Tuesday, April 2 we had meetings scheduled with Senator Bennet, Senator Gardner and 4 House members - Rep Degette, Rep Neguse, Rep Perlmutter & Rep Tipton. Additional legislation that improves access to PT - first and early, removes barriers to PT (specific to co-pays). Adding PTs to the National Health Service Corp specific to access crucial care for acute and chronic pain. S.970 was introduced the morning of our meetings which allowed us to ask for co-sponsorship. Enhancing access to necessary PT services within Community Health Centers. Hannah Clark, SPT was selected to join our contingent to attend this year's FAF. APTA CO members, please see her more in-depth recap and personal reflection by clicking here. Over the next few months, the nominating committee is sharing stories by your current APTA Colorado leadership as we approach the fall elections. Today’s spotlight is on nominating committee chair Emily Stone. What are some of your obligations and tasks in your current leadership position? As the chair of the nominating committee, my obligations and the obligations of the committee are to slate the elections for each year for the Colorado chapter. These elections are held at each annual meeting in the fall and throughout the year the nominating committee and myself seek individuals and support individuals who are interested in running for elected positions within the chapter. Why were you interested in your current position? I became interested in the nominating committee after working in several different capacities as a therapist and across the state of Colorado. 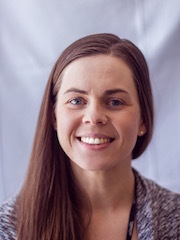 My hope with joining the committee was to seek individuals from across the state so that we would continue to have a broad representation of practice settings and geographic variability on the board. Why did you become involved in the Colorado chapter? I became involved in the Colorado chapter as a student at the University of Colorado and have remained active in some capacity either on the west district, in several SIGs and now in my capacity as the nominating committee chair. My goal for becoming and staying involved in the chapter is to be a part of the larger vision for the Colorado chapter of the APTA and the potential impact that a group of therapists can make for our practice, patients and profession. What is one (ore more) of your favorite parts about holding this position? My favorite part of the nominating committee is working with my excellent colleagues on the committee and meeting and introducing new individuals to the Colorado chapter. Join APTA Colorado for the Interstate Compact Education webinar held on April 16 from 6:00 - 7:00 pm and again on April 18 from 12:15 - 1:15 pm. This is a FREE webinar for APTA CO members. The webinar will beT.J Cantwell, Compact Administrator for the Physical Therapy Compact Commission. The presentation will provide information on the PT Compact including an overview of the reasons for the PT Compact, eligibility requirements, resources available online, and a step-by-step walkthrough of how to verify eligibility and purchase compact privileges. Register for the April 16 webinar. Register for the April 18 webinar. Join the Clinical Education SIG (CE SIG) for the final session of the three-part series on Clinical Instructor and student feedback and communication. The third session, titled 'We Need to Talk', will provide tips on how to approach difficult conversations that are bound to occur at some point. Learn more and register.